Champions Day demands a champion's performance. 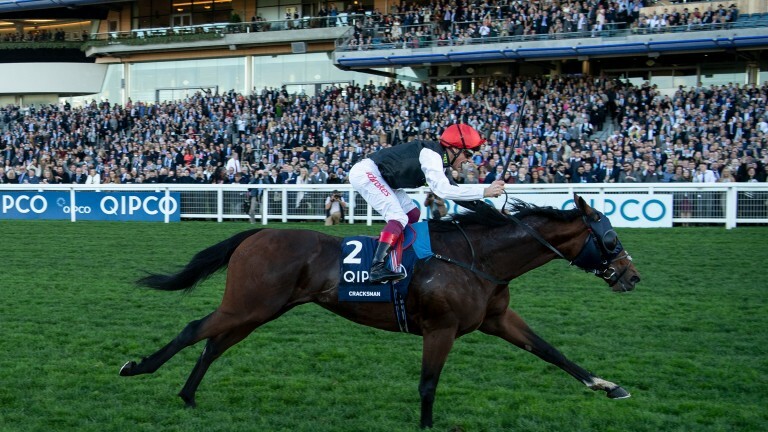 For the second consecutive year it came in the Champion Stakes from the same magnificent but enigmatic horse, as Cracksman, whose career has been troubled by fast ground, an aversion to heat and untimely arousal, bowed out in style with a performance that has surely not been bettered all year. On this day last season he thumped one Sir Michael Stoute-trained superstar by seven lengths. On that occasion it was Poet's Word who received the drubbing. This time Stoute's Crystal Ocean suffered the pulverising, the hero of 12 months ago producing an almost carbon-copy display with his six-length tour de force. In doing so he again emulated his father Frankel, who retired to stud having won this £1.3 million showpiece six years ago. Now Cracksman will follow his lead having put the seal on a day when John Gosden completed a famous treble and received his third trainers' championship trophy. 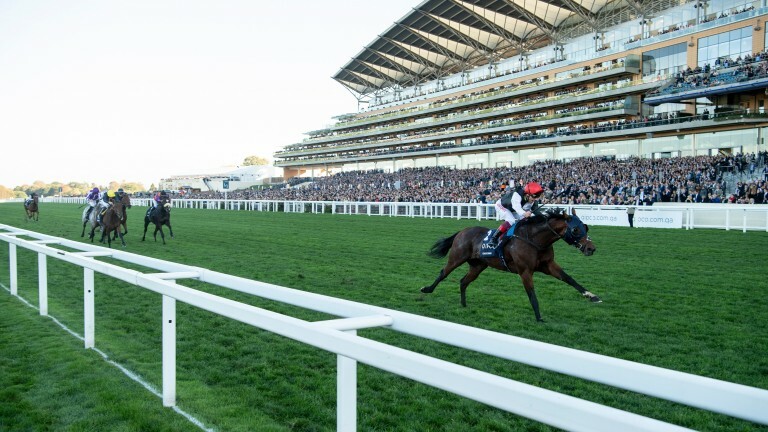 There are more than two months of that title still to run but, like Cracksman on his glorious swansong, it is a race in which Gosden is miles clear. Where Anthony Oppenheimer's four-year-old will begin stallion duties remains unclear, although he had wanted to begin them at Ascot in June after noticing fillies who had run in the Duke of Cambridge Stakes. His mind was then on other matters when lining up in the Prince of Wales's Stakes. He was beaten into second as 2-5 favourite that day and had not been seen since. We will not see him again but, by jove, he went out on a high. 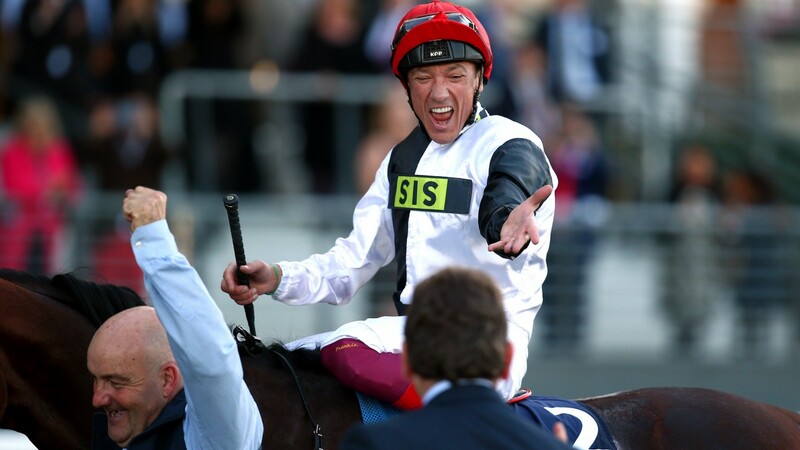 "I really enjoyed that – all the lights were on," said jockey Frankie Dettori who, together with Gosden, has completed back-to-back wins in the Qipco-backed Champion Stakes and Prix de l'Arc de Triomphe. 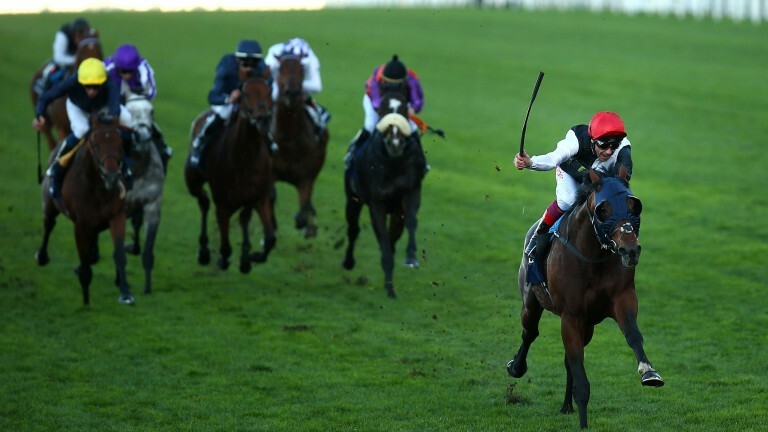 Cracksman's connections avoided that contest last year and did so again this year. Connections of Crystal Ocean also avoided Cracksman's stablemate Enable in Paris, only to find him rolled over by a juggernaut who stands down after a campaign in which he also captured the Prix Ganay and Coronation Cup. "He won the Ganay in exhilarating style but was never quite the same after that," said Gosden, who on this occasion equipped Cracksman with blinkers for the first time. "He wasn't really with us at Epsom but got the job done. Then at Royal Ascot he got very distracted by the girls coming back from the previous race. He shouted at them, which was not very good of him. I had to say to him, 'The stud career is not yet, old boy'. "We've freshened him up, come here and he's back to his best. He'd been showing me at home he was ready to do that. He did today what I thought he would do. "He's a hugely talented horse and showed it again here. I just felt if we could focus his mind he would fly – and he literally flew." 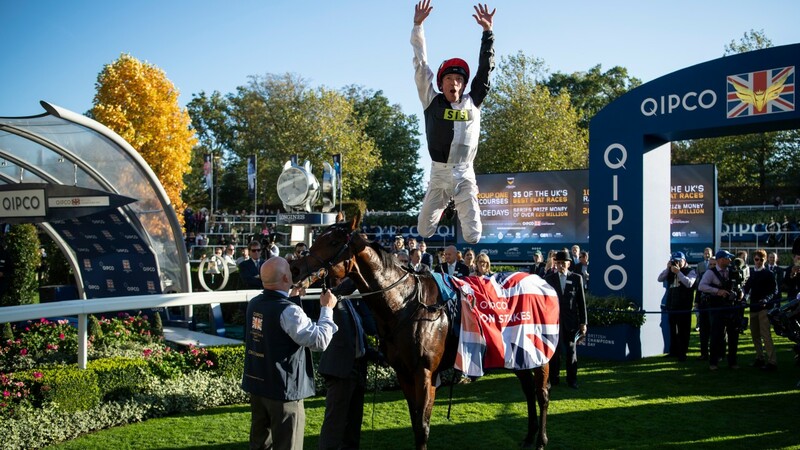 Dettori partnered that flying colt and began celebrating half a furlong from home, thrusting his arm in a theatrical manner that suggested he might be floating the idea of Strictly Come Dancing on horseback. "He has been a wonderful horse for me," said Dettori. "I told John my feeling is he doesn't like hot weather. He was very lethargic in the summer but back to his best today. Turning for home he couldn't wait to go. I knew we were in business. "Not many horses can accelerate like he did. I knew I was going twice as fast as the others. I was able to really enjoy the screams of the crowd through the last furlong and raise my arm through the last 100 yards." During those yards Crystal Ocean – who finished three-parts of a length in front of Czech raider Subway Dancer – saw Cracksman disappearing into the distance. The admirable runner-up lost a shoe but may have needed an extra couple of legs to stand any chance. "I was in a bit of a tricky spot coming into the straight but it opened up for me and Crystal Ocean ran a good race," said rider William Buick. Cracksman ran an exceptional race. "I've never known anything quite like it," said Oppenheimer. "We knew he was a good horse but it has been very frustrating having to wait so many months. "I don't know where he goes to stud as we had to see how he did today. We'll start negotiating with somebody." As those negotiations start a fabulous career ends. The career of a champion.